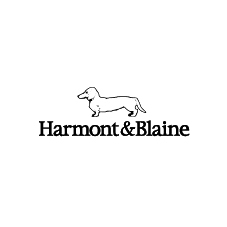 Distinguished by the well-known Dachshund logo, Harmont & Blaine is the sophisticated sportswear clothing recognized in Italy and abroad for its high quality and constant search for innovative colors and fabrics. The protagonist of the collections is the Mediterranean Lifestyle: the territory's soul, passions and values are the inspirations of a dynamic and solar style, detached from formalisms and grayness. Not a traditional interpretation of fashion, but a more exciting and imaginative vision. Perfect to accompany the man and woman in the recapture of their free time, dressing their joys, emotions and aspirations.